"flow out" to the construction and machine control markets with better designs in less time this gives the highest level of robust automation and ease-of-use of any civil design solutions available today. Carlson's innovative software & hardware products are designed to work seamlessly with each other and also work with the most hardware and software solutions available in the marketplace. From data collection, to office design, to 3D model building, to machine control, Carlson will get earth-moving, land development professionals where you need to be. Its powerful data collection software continues to be a favorite for site stakeout. Carlson's CAD-based data prep and estimating software, plus its extensive machine control offerings provide true choice, quality and convenience. Key Features: Support all major 3D Machine Control formats, Cut/Fill Estimating, Output 3D Machine Control Files (Carlson Grade, Trimble, CAT-Accugrade, Leica, and Topcon), Output Construction Staking files for Site, Roadway, Building Columns & Offsets, Calculates trench excavation & backfill quantities, Draws trench network in plan view, profile structures & pipe lines in 3D. 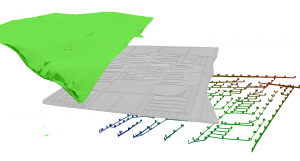 Carlson GIS offers tools for data capture and linking, data labeling, import/export of SHP files, polygon topology creation and analysis, and the ability to use polygons for staking. ArcGIS Nodes can be used for resections and localization & GIS professionals and Surveyors are able to query GIS feature attributes at any time with the Store Points, Stake Points, and Map View screens and access years worth of projects directly in the field and have that data save to an Esri geodatabase with no import/export or translations issues. Key Features: Input-Edit GIS Data, GIS Inspector, GIS Query/Report Hatch GIS Polylines, Mark GIS Polylines, Label GIS Polyline: Closed Polyline Image Closed Polyline Data, Open Polyline Data, Links Manager, Create Links, Erase Links. Whether in the field or in the office, those working in the land surveying industry will benefit from Carlson Software's proven solutions. 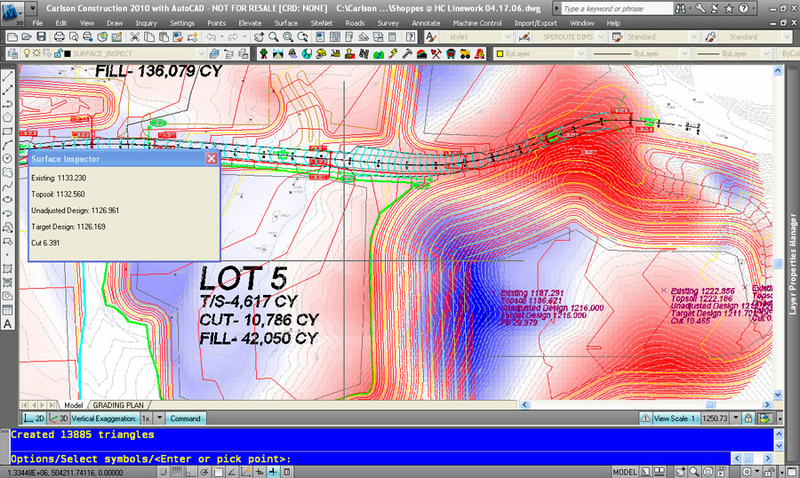 Powerful, flexible "Field-to-Finish," Carlson Survey office design software is made to work with SurvCE and SurvPC. Code all entries in SurvCE and symbols, points, and linework are drawn automatically in Carlson Survey. It's seamless and a time (and money) saver. In fact, both SurvCE and SurvPC serve as an efficient preview screen for the final drawing - if it looks good on the data collector, it will process perfectly in Carlson Survey. 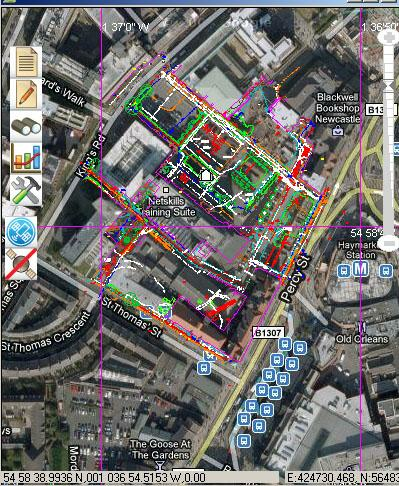 Key Features: Post-Processing of RINEX GNSS observations, Fix common drafting errors, Contouring, Build Surfaces, Design and Edit Centerlines, Create Profiles, Import/Export Points, Traverse Adjustment, COGO, Coordinate Transformations, Size Areas, Angle & Distance Labels, Deeds, Data Collection, 3D polylines from profiles. Carlson Software mining office design software and machine control solutions enable companies to reduce idle time and increase production rates, which equal lowered costs and increased efficiency. 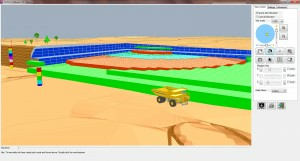 Carlson Software is the largest provider of design software for mines in the United States and, increasingly, around the globe. Carlson Mining applications, including Carlson Machine Control, go well beyond coal: to limestone, trona, clay, phosphate and all manner of sedimentary deposits. Routines for block modeling have been added to apply to gold, silver, copper, nickel, iron and other ore bodies. Key Features: Basic drillhole entry, Reserves & fence diagrams (on-the-fly only), Underground mine mapping, Layout Quantities, Draw & view underground in 3D, Get accurate calculations of overburden, ore quantities, strip ratios, rehandle, and ultimately, cost.